It's been a dry couple weeks on the McDonald's front. Over the last three to four weeks, The Wife and I have been to Vietnam, The Philippines and Singapore. Vietnam & Singapore continue to sell the Samurai Burger which I've reviewed before, and The Philippines, just like when I was there a month earlier didn't have any unique promo items to review. Last trip I had the regular menu Longganisa with Garlic Rice breakfast item last time, so on this trip I gave two of their special chicken & rice dishes a try. McDonald's Philippines has a whole range of Chicken & Rice lunch options available on the regular menu. 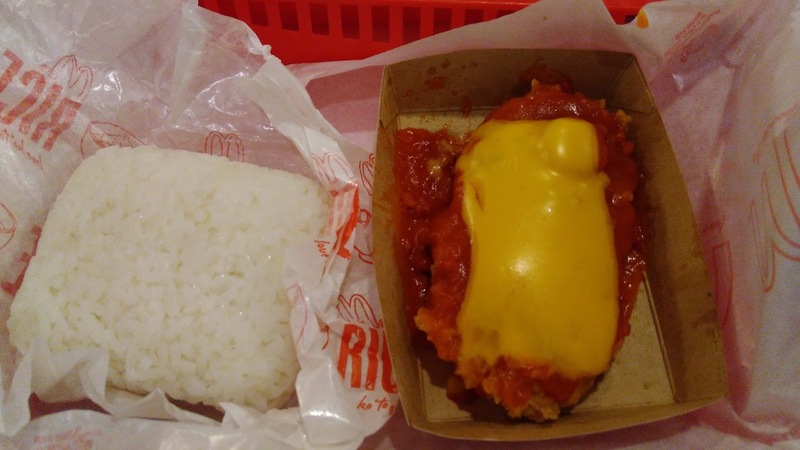 Most are not all that special all things considered, just white rice being served with some kind of fried chicken, McNuggets, drumsticks or like my options, fillets. The Chicken Fillet ala King and Chicken Fillet Italiana are the only 'sauced' options on the menu so naturally I went with them rather than one of the dry choices. 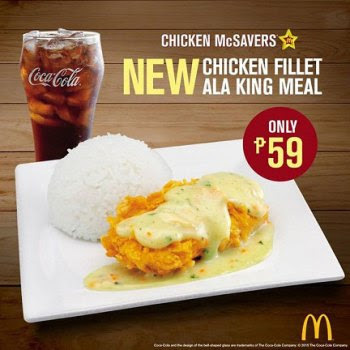 I'll start with the ala King as that's the older brother on the menu as it was released in mid-2015. 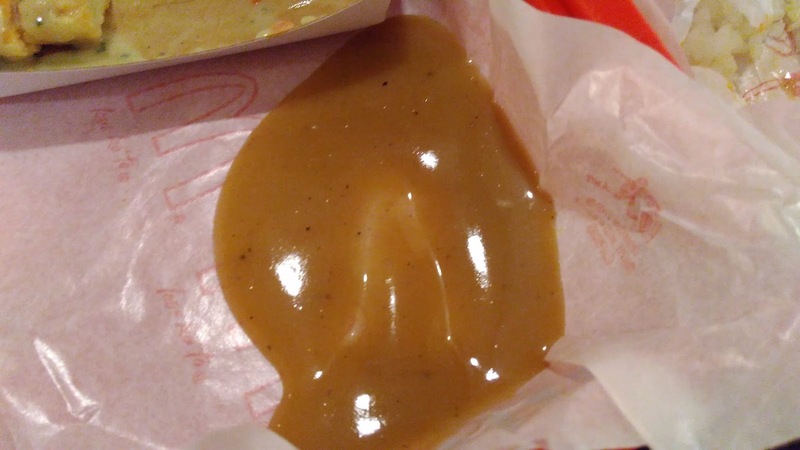 The sauce served on the King was a "creamy and buttery sauce dotted with carrot bits and chopped chives". 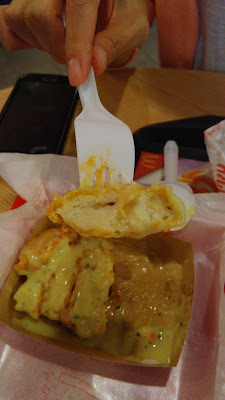 Now I know usually I complain about the quality of my photos and how they don't usually show the food in the best light, well, the greyish colour of this sauce had nothing to do with my phone camera this time. I assumed some "creamy and buttery sauce" would be served white like most cream based causes, but this sauce was some dark, almost off-putting greyish colour. It also didn't give off the most pleasant odour either. So strange that even though the dish was closer to her, The Wife insisted I try the first bite. 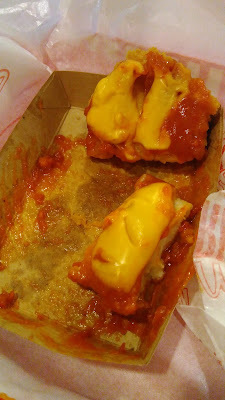 Luckily the actual flavour of the sauce was surprisingly very good, it was both as stated "creamy and buttery" . The darkness of the sauce was likely from the amount of seasoning and pepper cooked into the sauce but I'll admit, I didn't taste any carrot, whereas the chives were noticeable only in appearance. I was also surprised by how well the sauce went with fried chicken, as it was a great combination. It didn't go as well with the rice, but that was only my personal opinion, as The Wife thought it was excellent with both the chicken and rice. 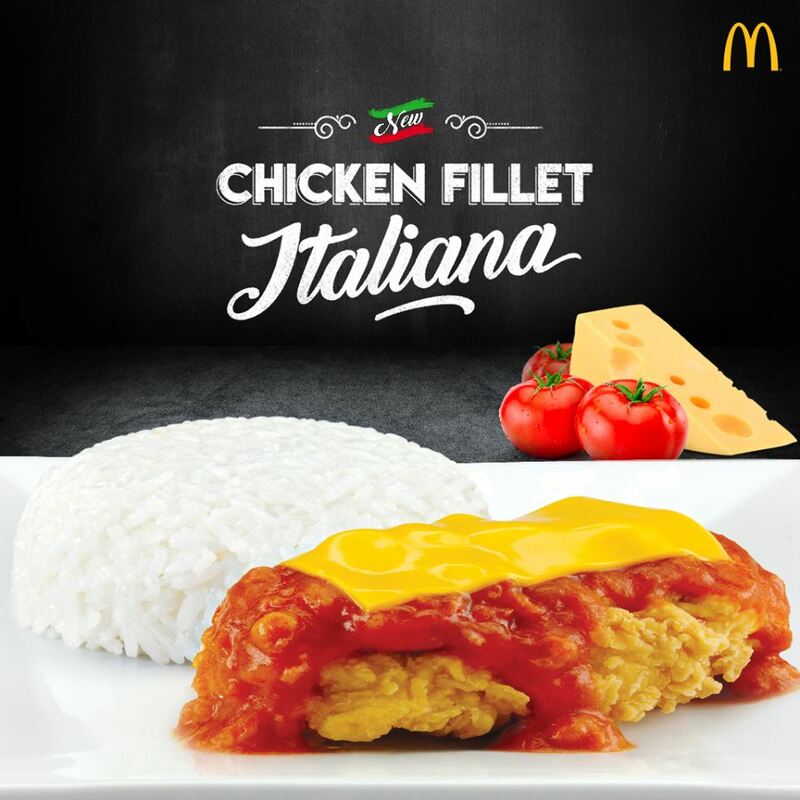 The other option we ordered that afternoon was the 'Chicken Fillet Italiana', which is the newest addition to the McDonald's Philippines regular menu, launching in mid-2016. 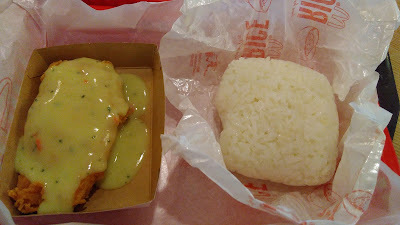 In case you couldn't tell from the photos, but the rice and the actual chicken fillet pieces were identical for both of these dishes, but I'll talk a bit more about that in a bit. 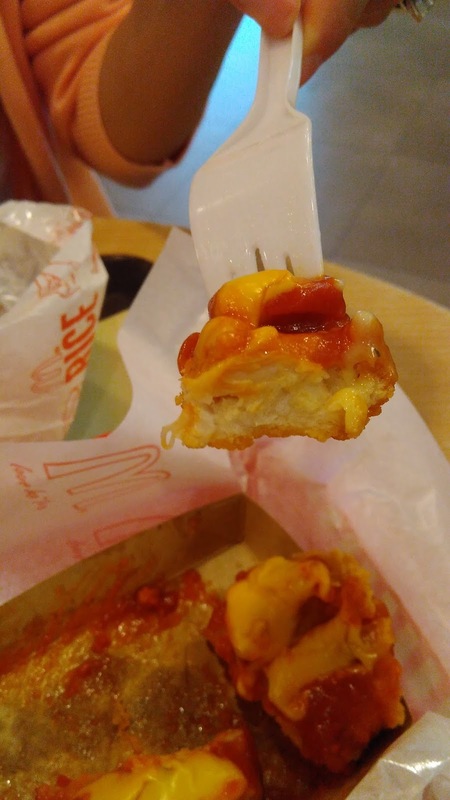 The 'Italiana' topped the chicken fillet with the tomato sauce from the McSpagetti and a standard slice of McDonald's processed cheese (probably the reason for the 10PHP increase over the rest of the options). I loved this sauce the first time I had it on the McSpagetti, and this time was no different, the sauce itself was still really flavourful, and something I'd actually want to top pasta I made at home. What I didn't like however that it was just that. Nothing special here if you've had the McSpagetti before. 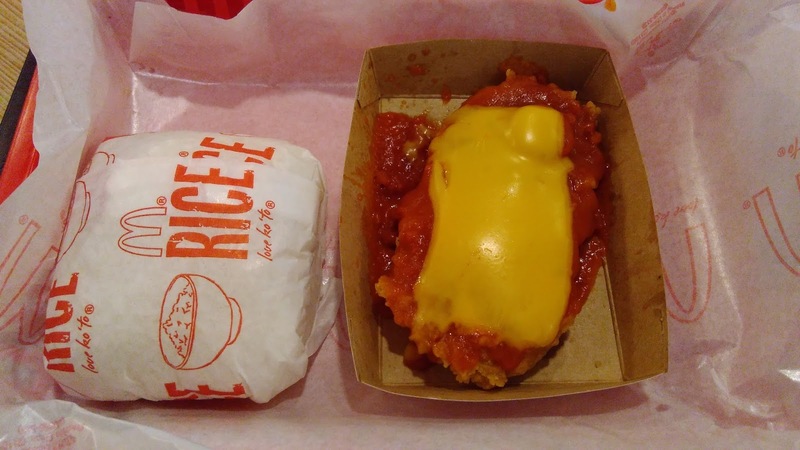 I do think that the tomato sauce was also a bit better together with the rice, but as mentioned The Wife would quickly disagree. 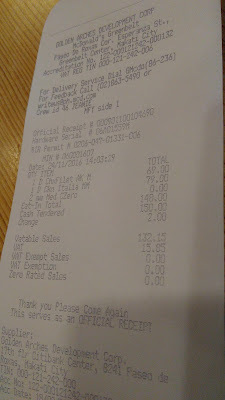 I was also very impressed by the quality of the chicken, especially at the price point being charged. 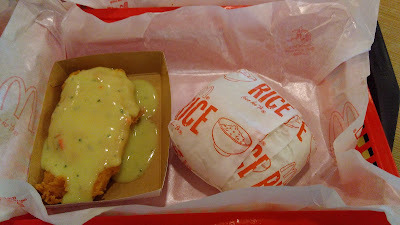 The breading was thin yet crispy, but I really loved the all-white meat and thick cut of chicken, as something that is often missed when eating fried chicken Asia. 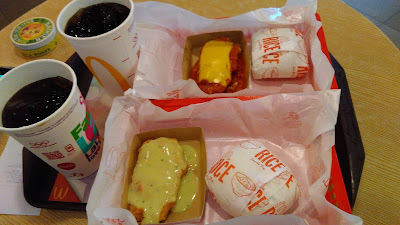 All in, both dishes were very good and both worth trying if you had the chance, but if you were only going to get one, I'd side with the Chicken Fillet ala King so you can try the sauce created specifically for this dish...then get a McSpagetti. Also if anyone has any idea why it was called "ala King" I couldn't find out the answer anywhere, so please let me know! 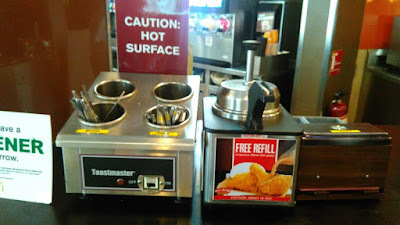 One other thing I will quickly mention is that the Chicken options are so popular, that McDonald's Philippines has hot gravy dispensers available next to the cutlery (to eat the chicken with of course!) It was a bit watery and sweet for my liking. 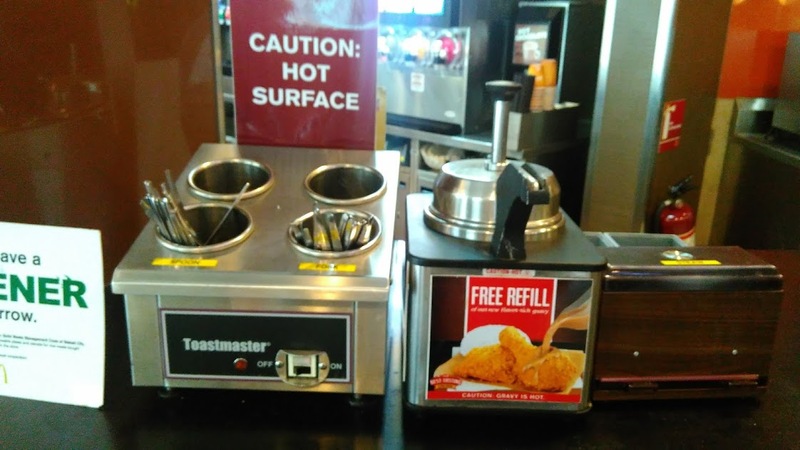 I would have preferred something a bit thicker and spicier. 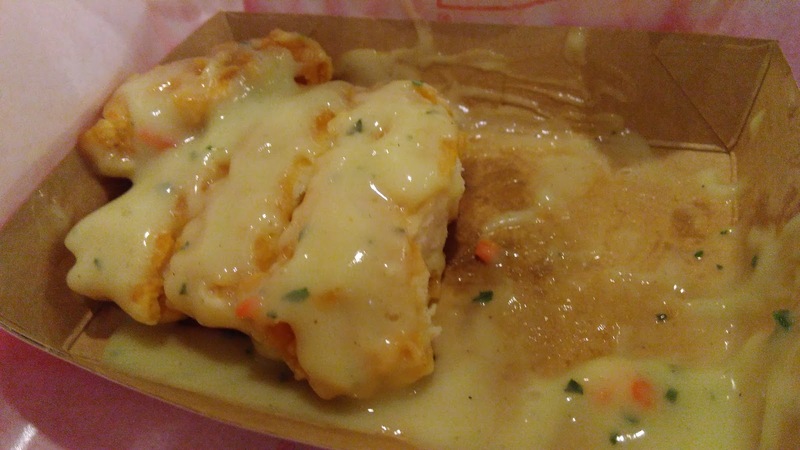 I agree with Anonymous, I think it was supposed to be like the dish Chicken à la King, but I've never seen it done with fried chicken before.